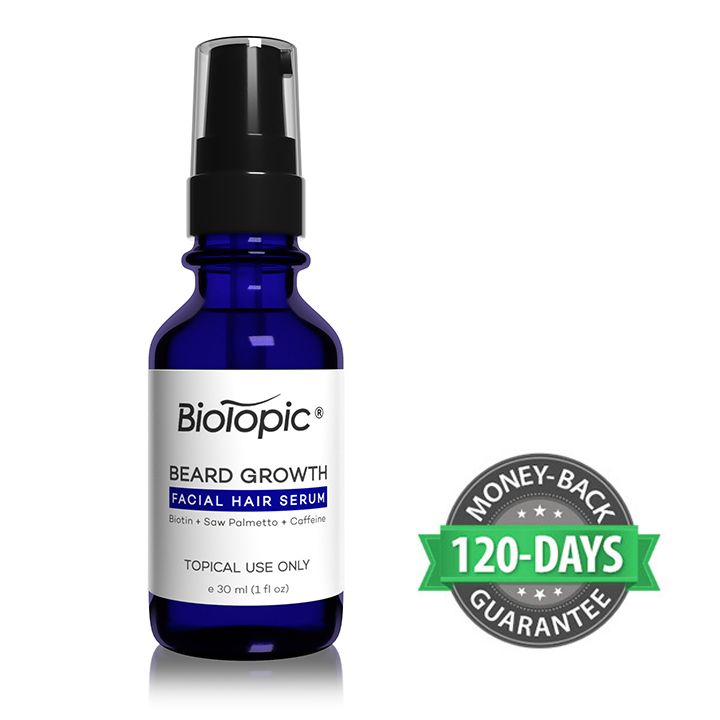 What makes Biotopic® Beard Growth Serum™ better than the rest? Well, to start, we use the leading scientifically studied bioactive compounds studied to help improve beard growth and thickness. And we include not just one, but over 27 plant based ingredients which are leaders in beard growth research. Some of them you may never have heard of until now: Pisum Sativum, Biotin, Argan oil, Caffeine, Vitamin C and Hyaluronic acid. These are just a few of the absolute best researched ingredients for improving the growth and density of facial hair... and we use them in every bottle of Biotopic® Beard Growth™ Serum to help maximize your beard growth potential. Next, we use the highest concentration of natural beard growth bioactives. Our beard serum is made in a certified laboratory in California and highly concentrated with vitamins, nutrients and bioactives. They absorb deep into your face and skin and include acclaimed beard oils to coat individual whiskers, increasing overall effectiveness. We source organic bioactive compounds which further increase the potency of our formulation. This premium beard growth serum was created in mind to target the areas you need the help with most to get a thicker looking beard. How easy is it to apply the serum? Very easy. Our pump applicator allows for precise amounts to be applied to your finger tips and massaged into your face and facial hair. Surprisingly, it is non-oily, so there is no mess and it can be applied quickly or on-the-go. The serum is easy to control and soothing to apply. It even helps relieve itching and irritation sometimes caused by beard growth. 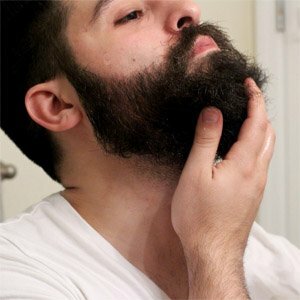 So are you ready to start growing the thickest beard you ever had? 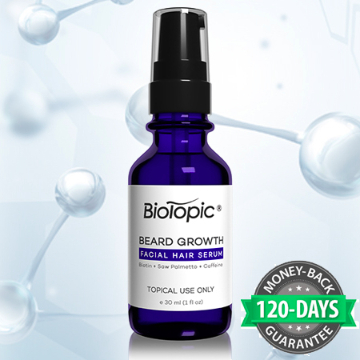 Biotopic® beard growth serum is the most powerful on the market. Period. No large pills to swallow. No harmful chemicals or drugs with harsh side-effects. We took the best of the best and formulated the most advanced beard growth serum just for you. This fast acting formula can be used as long as you like and stopped at any time without losing the growth you gained. Give your beard the natural thickness it deserves. 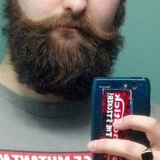 Use the Beard Serum that makes men properly bearded! This is an Exclusive One-Time Offer from the makers Biotopic® to first-tIme customers. 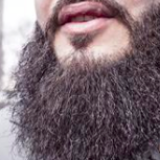 Order today with 20% OFF and a 120-Day-Money-Back-Guarantee and join thousands of satisfied customers who have improved the density of their beards. Only $32.95 $26.36 a 20% Savings using this Special Limited Time Promotion. Order Today! 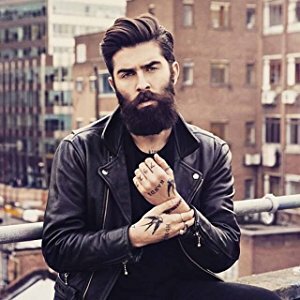 Limited Time Offer* To Claim Your Beard Growth Serum for Only $32.95 $26.36 ! *While Supplies Last. Limited Time Offer* To Claim Your Beard Growth Serum for Only $32.95 $26.36 a 20% Savings! *While Supplies Last. • AnaGain™ Our secret weapon for beard growth, containing Pisum Sativum, it stimulates specific signal molecules in the dermal papilla required to activate hair growth and denser facial hair. • Biotin is a powerful vitamin from the B group biotin improves your body’s keratin infrastructure which is is a basic protein that makes up your facial hair. • Argan Oil is non-greasy highly coveted natural oil which immediately soaks into the hair fiber, providing it with essential nutrients which helps hair grow faster in a shorter period of time while giving a more lustrous looking beard. • Caffeine is now used for stimulating the hair growth and revitalizing it. It is packed with micronutrients such as antioxidants that are known to help stimulate healthy cell production. This is important, as it protects cells from free radical damage that could stunt hair growth. • Vitamin C is one of the most effective nutrients to help grow and strengthen hair,. Vitamin C helps build collagen, which is highly important for hair growth, but maintaining the strength of hair is just as crucial. • Hyaluronic Acid is similar to a fertilizer because it can increase facial hair growth and the strand diameter--thicker hair. Every bottle include a precision pump applicator which is fast and easy to use. Get the look you want starting in days. Biotopic will help you gain a thicker, fuller, and healthy beard. Our serum is the only patented bioactive formulation to help make even the thinnest, sparse beards grow to be thicker. No hormones, No Drugs. We use only natural beard growth vitamins, bioactives, and nutrients to quickly help get your facial to look thicker. Does this help if I don't have any facial hair? Yes. 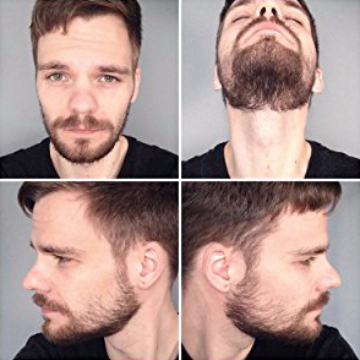 If you are over 18 and in healthy condition, Biotopic® Beard Growth may help you get on your way to getting the thicker facial hair you want. Does this help with patchy growth areas? Yes. 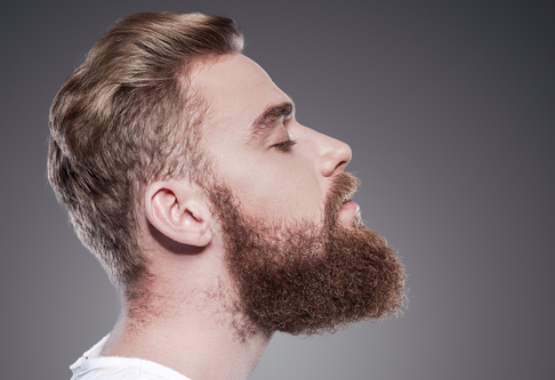 Biotopic® Beard Growth may help the look or growth of a thicker beard in areas of patchy growth. Use once daily as directed. We accept all major credit cards and PayPal. We use the most secure 32 bit encrypted network through Stripe ® to make sure all payments are safe. Does this help if I already have a beard ? This serum is PACKED with nutrients for your beard and delivers excellent skin hydration for less itching. If you're just O.K. with your beard, this product will take it to the next level. Is this product really 100% Drug Free? Yes. This is 100% naturally, derived using the best botanical actives and vitamins to maximize your beard density. Absolutely no minoxidil or other harmful chemicals. Once you complete your transaction you will receive an email receipt along with a link to your tracking number. Orders are processed within 24 hours and generally arrive between 3-5 business days. Best of all, SHIPPING IS FREE! "Reading the ingredient list and I and really impressed. so much more than other beard products... Hands down an excellent product!" "A fast and effective solution for beard growth. The speed and results were worth this bottle alone. One bottle is all I needed and within a few days I was rocking some growth and a week later I'm doing well. I'm still fresh but if this continues it will save me months of growing time. I should have one of the best beards by summer"
Goes on smooth and thicker growth in a few weeks. I really like this serum as its packed with vitamins for helping hair growth. I apply every day in morning. massages in easy and dries fast. there are some oils in this but it doesn't make your beard oily. just hydrated. 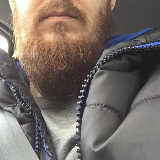 beard did get thicker and is looking Great now! Best stuff out there. I had a really weak beard. Started using this stuff less than a month ago and beard is starting to grow where it has never grown before. STOKED!!! 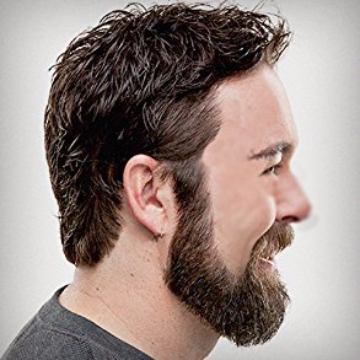 Biotopic® Beard Growth can be used on all sides of the face, including difficult areas below cheeks and chin. Biotopic® helps support a healthy, softer, thicker beard naturally. No large pills to swallow. No harmful chemicals. Our patented formulation is a leader in the beard industry for helping tens of thousands of customers get the look of a thicker beard.